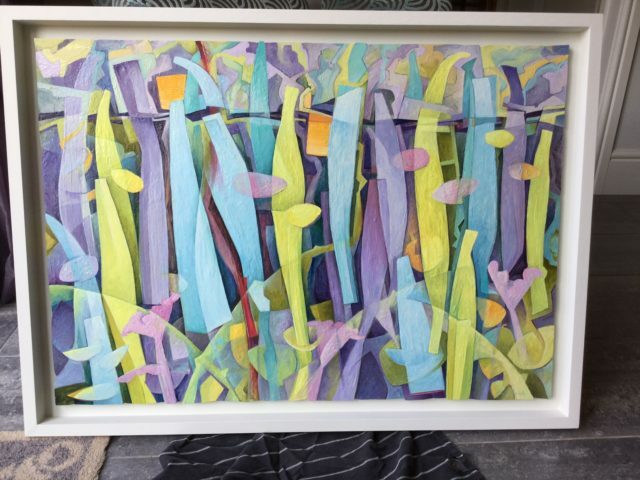 Hidden Hedgerows is the result of an interesting project to create a painting and a piece of enamelled silver in tandem, ie. working on the two independently over a period of time. Fred formulated his ideas, based on hedgerows, in a small watercolour, and from this he created an enamelled beaker and a larger scale oil painting. Both the oil painting and enamelled beaker will form part of an eye catching selling exhibition of contemporary furniture and silverware to be held at The Goldsmiths Centre, London EC1m 5AD, next week from 3 – 6 May. Facebook @FestivalOfSilver festivalofsilver.co.uk.